Family owned and run, we have a passion for vehicles and we hope to represent this in business. Conveniently located in Blackburn Lancashire we have been trading and retailing vehicles across the world for over 25 years! We are a used luxury and 4x4 cars specialist covering the UK and the world. We offer quality vehicles at very affordable prices. 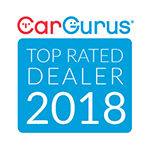 If you are looking for fantastic savings on a car or looking to upgrade, you can be sure that you will find competitive prices and the best service from Global Automobiles. Finance available upon request and we would welcome any part exchange enquiry. We can arrange Drive Away Insurance We also buy cars, please contact us for a free quote. Very easy to find, only minutes from Junction 5 off the M65 Also only 20 Minutes from the M6 If you would like to come by train, bus or coach we are more than happy to collect you from the station. Great service from the gent who took us for a drive to the gent who took my cash, arranged tax, 5 days insurance and AA cover.